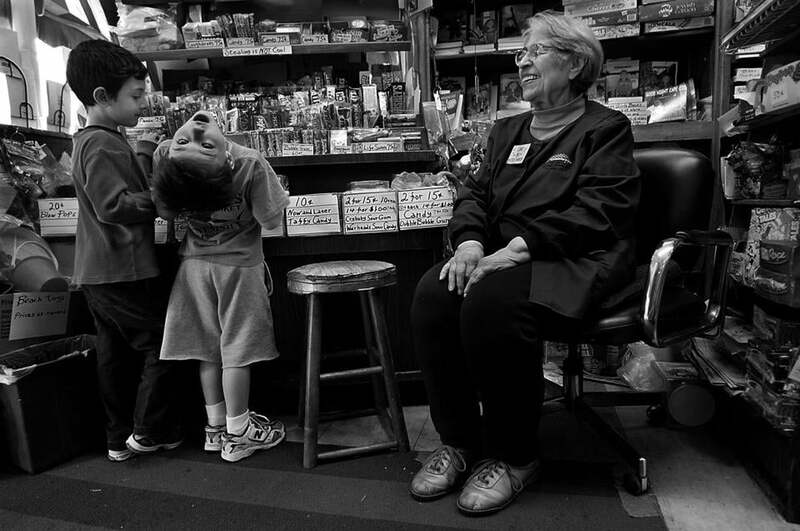 Ethel Weiss ran her Brookline toy store since 1939. Items as timeless as the proprietor filled the shelves of Irving’s Toy & Card Shop in Brookline. Have a hankering for a Slinky or Silly Putty? Ethel Weiss had ’em. Need a witch’s hat? She could make one magically appear. Imagination and affection were always free as she welcomed children who filled the tiny store’s aisles each afternoon when a nearby school let out. 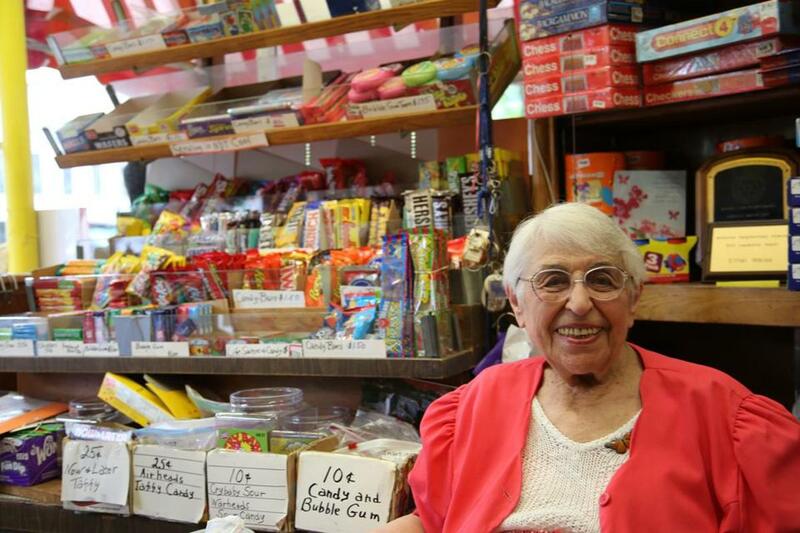 Mrs. Weiss, who was 101 when she died Thursday, ran the Harvard Street shop she and her husband bought in 1939 for more than 76 years. Her commute was a short walk from her home in the building next door, which she made until a few weeks ago, when she could no longer get down the stairs. “I love the kids. They keep me going,” she told the Globe in 1992. In the age of big-box stores hers was a shoe box — only a few hundred square feet, even after a slight expansion decades ago. She liked to say she helped children learn arithmetic as they figured out the change they were due. Her tenure running Irving’s was its own equation: A 6-year-old who walked through the door in 1939 would now be 82. Penny candy slowly climbed to 10 cents as Mrs. Weiss tended to the needs of four successive generations in some families, and she wasn’t just selling toys and sweets to children. “I feel I can help them become nice people,” she said in 1992. To that end she created a poster with her “rules for shopping” — advice she rattled off from memory: Do what you know your parents would want you to do with your money. Buy only what you need. Before you enter a store, have an idea of what you want and what you plan to spend. Be polite and say please and thank you. Over the years, shoppers bought board games and puzzles, toy cars and rubber frogs, Crazy Eyes and Eye Poppers, Nerf balls and Uggly Wugglies. Customers with a sweet tooth snacked on Atomic FireBalls, Jaw Breakers, and Jolly Ranchers. Each day she wore a handmade pin that said “I Love My Customers,” which for her was no idle phrase. Ethel Arnowitz was born in 1914 in Newport News, Va., the only child of Robert Arnowitz and the former Rosa Goldberg. When she was a young girl, her parents moved to Portland, Maine. Her father had been a shipbuilder during World War I, Janice said, and up north he did fine furniture repair and was a cabinet maker. “When I went to high school, there was an award for scholarship and I worked hard to get one each year, and I did,” Mrs. Weiss said in the 1998 interview, and Janice still has a scholastic medal her mother was awarded. One day Irving Kravetz was playing in a basketball game that Ethel was watching. They married in 1937 and lived in Roxbury and Allston before moving to the building next to the shop they purchased in Brookline. Irving had lost his job working in shipping for a food company when they heard that the Harvard Street shop, which had been a small grocery store, was available. They bought the building they lived in, too. Then, Irving died of cancer in 1960 at 47. Ethel kept running the store and raising their two daughters. Later she married Abraham Weiss. “Abe worked in the deli down the street,” said her other daughter, Anita Jamieson of Brookline. Though the shop bore her first husband’s name, and she ostensibly ran it first with Irving and then with Abe until he died in the late 1980s, it was always really her store. “My mother was the brains of the operation and her two husbands were basically the schleppers,” Anita said, laughing. Forever a favorite of children attending Edward Devotion School just down Harvard Street from the shop, Mrs. Weiss found that longevity drew attention. A video of her is posted on YouTube and CBS News profiled her in September. When she turned 100 last year, a birthday party with her family and many friends featured a cake with an image of Irving’s Toy & Card Shop. In addition to her two daughters, Mrs. Weiss leaves a stepdaughter, Arlene Silverstein of Monroe Township, N.J.; 12 grandchildren; and 15 great-grandchildren. A funeral service will be held at noon Wednesday at Congregation Kehillath Israel in Brookline. Though Mrs. Weiss had been treated for congestive heart failure, “it’s only been in the last few years that I’ve taken over doing the checks and various things like that, and it’s partially because of her eyesight,” Janice said. And that, Mrs. Weiss would say, was the secret to longevity. Ethel Weiss in Irving’s Toy & Card Shop in 2013. Bryan Marquard can be reached at bryan.marquard@globe.com.